God gives favor to His people to those who have been made righteous by the blood of Jesus Christ. Did you know that there are different types of favor? 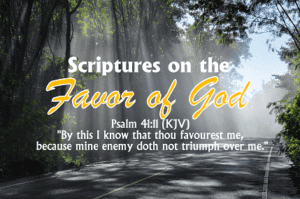 There is a favor that is granted among men, which unbelievers can have, and there is a favor that is given by God which only the believer can have. There is a favor for your countenance which means you are a pleasant person. There is a favor for mercy which is the favor that someone would pray for when they have to go before a judge. There are indeed different kinds of favor. So what is the meaning of favor? 1. something done or granted out of goodwill, rather than from justice or for remuneration; a kind act:to ask a favor. 2. friendly or well-disposed regard; goodwill: to win the favor of the king. 3. the state of being approved or held in regard: to be in favor at court; styles that are now in favor. 4.excessive kindness or unfair partiality; preferential treatment: to treat some people with favor and others with neglect. 5. a gift bestowed as a token of goodwill, kind regard, love, etc., as formerly upon a knight by his lady. Biblical definition is similar but there is a difference when it comes to divine unmerited favor. The favor the surrounded Nehemiah (Neh 2:5), the kings cup bearer, when he asked the king if he could have permission to go and rebuilt the wall was “yatab” which means that he was a pleasant fellow. It pays to smile and it pays to be pleasant so if you find that you have been grouchy and unpleasant ask the Lord to grant you this kind of favor. You will notice that people, especially the unbeliever, will change their attitude towards you and you will have favor among them like you never had before. The favor that surrounded Samuel (1 Sam 2:26) that gave him favor with God and with men is “towb” This means that he was exceptional. He had a spirit of excellence which surrounded him in everything that he did so he had favor wherever he went. In season, out of season, with believers or unbeliever, with God and with men and whatever he touched prospers. The favor the surrounded Ruth was (Ruth 2:13) was “chen” which means that she was accepted. Have you ever met someone and they always get in no matter where they go? They are always accepted. 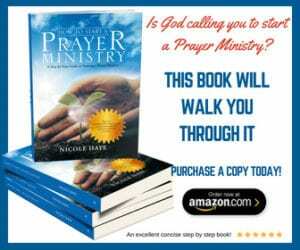 God grants them a special kind of grace to find favor regardless of race or socioeconomic status. They win at everything without even trying. Now that you understand there are different types of favor, it is easy to see how unbelievers can become very wealthy and not know the Lord. But remember, what good is it for a man to gain the world and lose his soul? There is no unending joy with this kind of favor. There are still many other types of favor which we didn’t cover here but you can do your own studying to find out about all of them. We wanted to share these scriptures on the favor of God. Meditate on them. See their benefits and reflect on all the ways God has showed you His favor over the course of your life. Turn this into praise and thanksgiving to Him for blessing you so abundantly! Do you know another scripture on favor that you would like to share with us? Please write it in the comments below. would like to be added to the devotional list.